However, if you want a pair of genuine All Saints Layer Boots, I’ve spotted a pair currently on eBay! They are size 11 and look to be in mint condition with their original box and well worth the opening US$120 price. 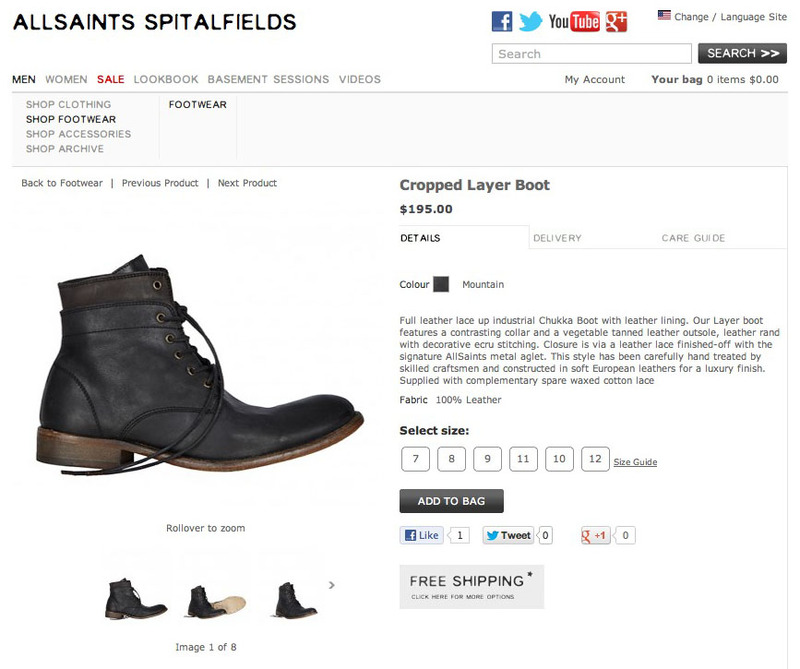 What you are bidding on today is a genuine pair of All Saints Layer Boots. 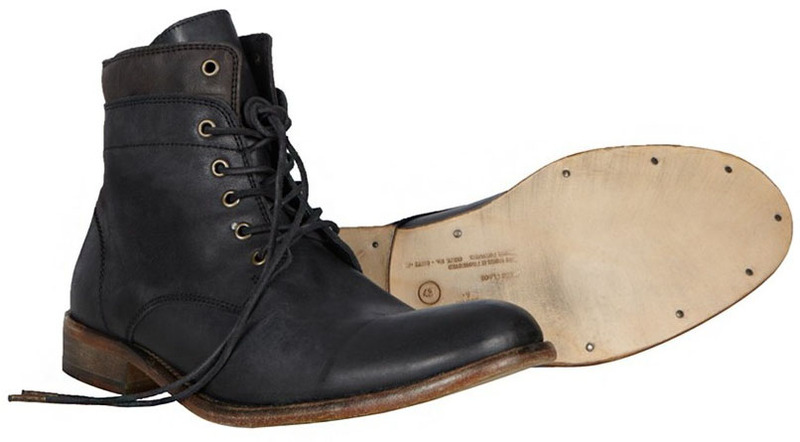 The very same style of boot that was worn by Matt Smith in his first season on "Doctor Who." 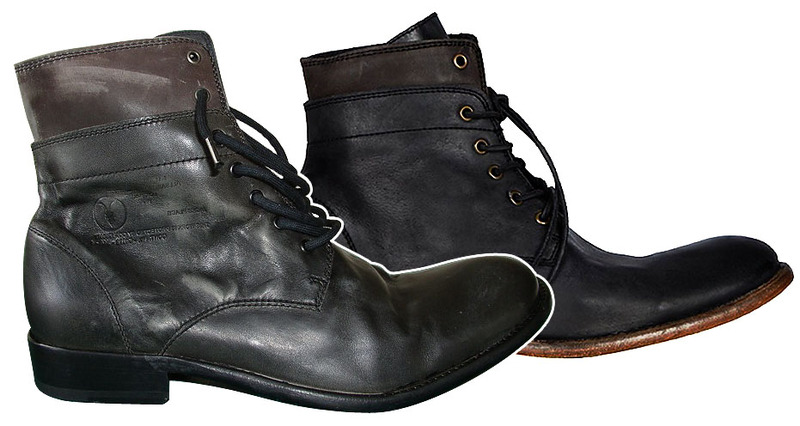 These shoes are no longer in production and have been a pain to find for close to three years. These are a perfect pair for any collector, cosplayer or all around fan of British fashion. They are used and have been broken in. The coloring on the left boot is fading to a brown tint, which I think adds character. The end of one lace on the left shoe is frayed but this is easily fixed or replaced. The rubber heel on both boots is thinned but there is so much life left in these shoes it's crazy. I bought these boots for cosplay reasons but I'm heading off to college so all unnecessary items have to go. I really hate having to give these beauties up but they have to go. I paid over $200 for these last year and I haven't added many miles to them. I'm open to offers if they are reasonable. Happy bidding!! I haven’t seen many pairs of these on eBay recently, so I wonder what they will go for.